Having missed the Jerez test, the MV Agusta squad had plenty of work to do in Portimão. Their sole rider, Leon Camier, had a tremendous 2016 campaign, but in the face of regulation changes, he faces the daunting task of trying to make the F4 into competitive package once again. The Englishman had seven Top 5 finishes last year, and 15 Top 10s, and helped to change the perception of the Italian squad. Previously, MV Agusta had been consistent under-performers and tail-enders in WorldSBK, but their form last year gave plenty of hope of revived fortunes. The ban of split throttle bodies, which allowed the cylinders to be opened independently when accelerating, hit the team hard in their initial tests and it appears that over the last two months little progress has been made on the issue. “We have to be realistic with our goals for this year because the change from split throttle bodies has caused us some problems,” admitted Camier. “I think that it will continue to cause us problems and even though we might be able to mask it with electronics it’s not right with this bike. 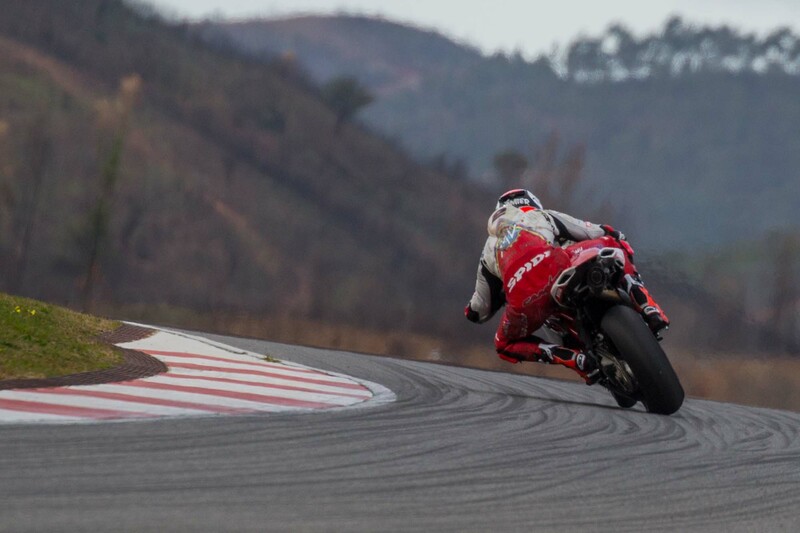 Camier set the fifth fastest time by the end of the Portimão test, half a second back from the leading Ducati. While Chaz Davies was comfortably the fastest runner, Camier took heart that he was within three-tenths of Eugene Laverty’s Aprilia. The 30-year-old also takes heart in the fact that the team has planned a raft of upgrades to the bike. This World Superbike story is made possible by our A&R Pro members. If you like reading WorldSBK stories on Asphalt & Rubber, you should consider supporting this content by signing up for A&R Pro. "Superbike Steve" is known best for his on-air hosting of the WorldSBK race feed, but when he's not looking pretty for the camera, he is busy writing stories and taking photographs for Asphalt & Rubber.